St. Leonard’s Church is a place for Christian worship and a quiet oasis (open every morning of the week) where individuals may pause for peace and for prayer. Some come to give thanks for good things, some to ask for God’s help, others to pray or to ask for prayers for those they love. The church is a place where Christian teaching, counsel and pastoral care are offered. It is a place of fellowship for anyone, whether they belong to the church or not. It is also a springboard for Christian evangelism, social action and outreach into the wider community. We hope you might join us at one of our services. 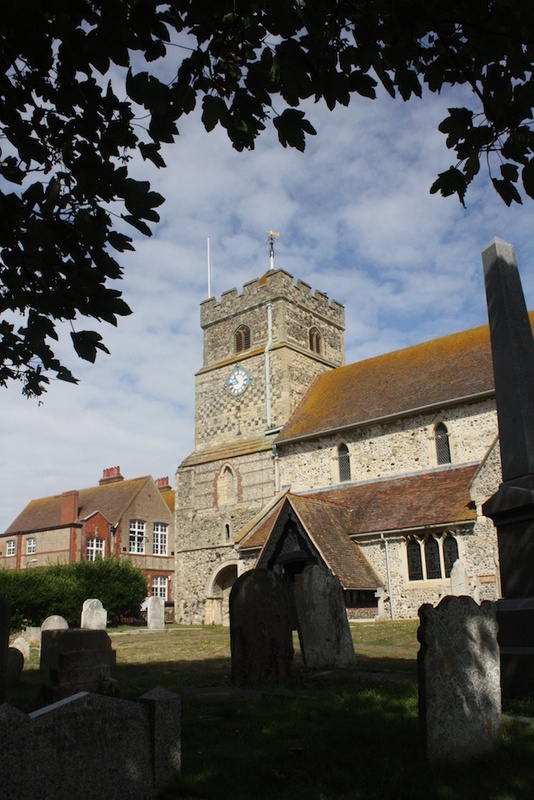 St. Leonard’s Church is a prominent landmark at the centre of Seaford, its imposing tower catches the eye of people entering the town along its main roads, or walking on the nearby chalk cliffs, and it is also plainly visible from offshore. A flag flies here on festivals and both the tower and nave are floodlit at night. The church also serves as a venue for various big events, including civic and community occasions, services for war veterans and for scouts and guides, school celebrations, and choral or musical concerts. Read about our very popular Saturday Lunchtime Concerts. Read more about the organ, bells, altar and font in St. Leonard’s. Find out where we are.